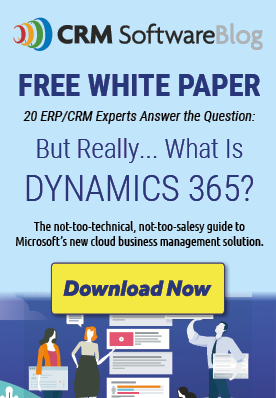 What part of Dynamics CRM does the public see? Your sales proposals. There are some things CRM does exceptionally well: in most cases, sending professionally designed, optimized sales proposals and automating and reporting on every customer interaction within the proposal process isn’t one of them. Rather, isn’t three or four of them. Your Dynamics CRM system is designed to manage customer relationships, often of enormous enterprise accounts with dozens of contacts, and hundreds of moving pieces. Eye-catching, optimized, winning sales proposals aren’t usually one of its strengths. But it’s one of a configure, price, quote (CPQ) system’s strengths: matter of fact, that’s a CPQ system’s PRIMARY strength, and why CPQ is the ideal addition to every Dynamics CRM solution. Proposals aren’t people: your CRM system essentially manages the people you do business with. But proposals aren’t people and require a different degree of attention and analysis. It’s a relationship, but it’s rarely one-to-one: every time you reply to an RFP, you’re not alone. Want to increase the C in your CRM? Ensure your sales proposals come out on top. You do you, CPQ: let your CRM system do what it does best — manage overall relationships of an entire organization — and let CPQ does what it does best and manage the sales proposal process, from creation to close. If every job were a nail, we’d need only a hammer. But the tools you use to manage your customer relationships at the macro level are rarely a fit for managing at the micro level (within the creating, sending, and tracking of each proposal). Adding sales proposal automation to Dynamics — ideally, via a CRM/CPQ single sign-on solution — enables you to have a tool built expressly for the job. Don’t force your CRM system to manage quotes the same way it manages people. Get the right tool instead. Imagine if you proposed marriage to someone at the same time 12 other people did. That’s basically what happens when you send a proposal in response to an RFP. Are your proposals professionally designed? Do they have pre-configured product bundles and optimized pricing? Can products and pricing be added via a point and click interface? Do you stand out from the other “suitors” courting a prospect? No? Then it’s time to add CPQ to CRM. Finally, it’s important to understand that your CRM system is great at a lot of things, but perhaps not everything: yes, it’s great for mass communications, managing accounts and contacts, and for an overall view of your pipeline of leads, opportunities, and customers. But, in most cases, it doesn’t do quotes very well. It typically has “Quote sent” and “Quote signed” and that’s about it. A CPQ system integrated in your CRM not only gives you deeper details on every step in the sales quote process, but ensures every quote you send is the best possible. It’s a strength that most CRMs lack, and most reps need. For more details on adding a single sign-on CPQ solution for Dynamics to your CRM, visit iQuoteXpress. Sales proposals: CRM’s blind spot? Can CPQ (sales proposal automation) improve Dynamics CRM adoption?